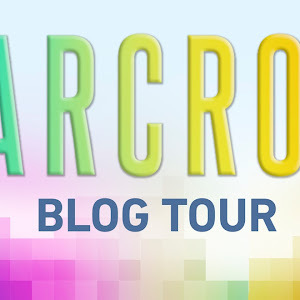 You guys all know the drill by now, I'm sure, but I'm going to repeat myself anyway just in case there are people who have just discovered this blog! 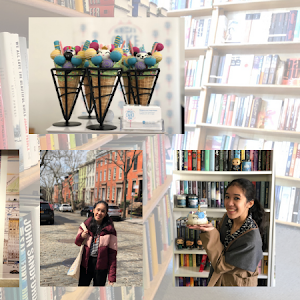 It's time for a round-up of mini reviews for books that I read last month, all gathered together in one post for your perusal to make it easy for you to quickly learn how I felt about what I read. If you've read any of the books I did, I'd love to hear what you thought! And if you want to read any of these, I'd love to hear about that too. Alice Alexis Queensmeadow is determined to show Ferenwood that she is capable of being assigned a task this year. But her plans change when her classmate Oliver asks for her aid in completing his task - which just so happens to be finding Alice's father, who has been missing for nearly three years. Together, the two of them venture into Furthermore, a magical place where nothing is as it seems, and embark on the most important quest Alice will ever embark on. If you already think that Furthermore sounds wonderfully whimsical, I'm here to assure you that Mafi delivers. 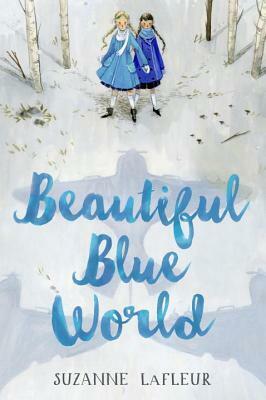 The plot is fairly straightforward - a girl and her companion on a journey through a magical land in search of a beloved father. But Mafi has written a vibrant, odd, wacky world into existence, and that alone made this novel well worth the read (at least, for me)! Really, my only reservation is related to main character Alice, who was a little hard for me to connect with on a personal level. But overall, I thought this story was so much fun! 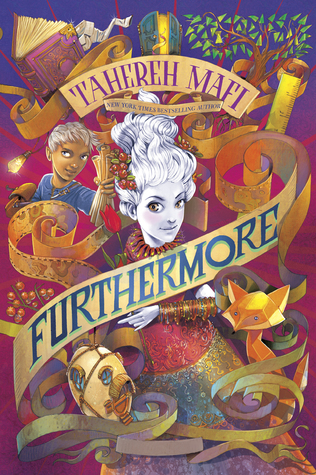 Definitely another notch on Mafi's belt, and a middle grade worth reading - for kids and adults alike. 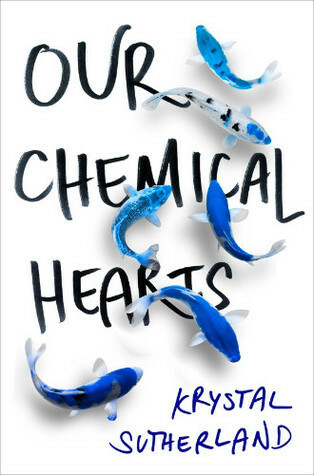 Our Chemical Hearts is a young adult contemporary about Henry Page, a boy who has never been in love and is actually okay with that. At least, until he meets Grace Town. 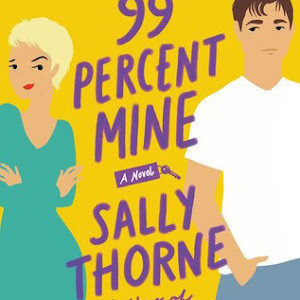 While Grace isn't exactly how he imagined his dream girl (or romance), he finds himself falling for her in spite of the fact that she is clearly dealing with a lot of stuff and not in a good place. Yes, as you've probably surmised, this is indeed a teen romance. Now, I thought Sutherland's writing was easy to read, very tongue in cheek, and I think I'd give her future novels a shot just on that basis. However, I found myself feeling unimpressed overall with her debut. 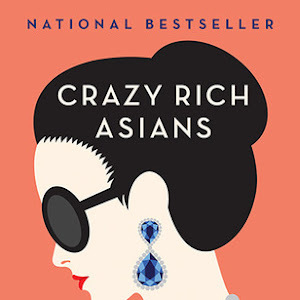 I just didn't come to care for either Henry or Grace (though I did enjoy Lola and a few other secondary characters), and I also felt like the novel was filled with themes and plots that I've read in other stories. That being said, this is just my opinion; I know there have been many others who really ended up liking this one. I'd advise you to decide beforehand if the plot is your cup of tea before picking up a copy. 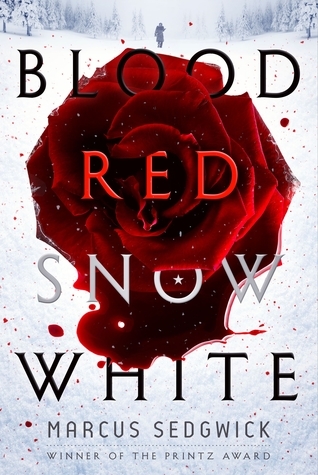 Blood Red Snow White centers around Arthur Ransome, a writer who leaves England and moves to Russia to be a journalist. He finds himself at the center of the Bolshevik revolution, reporting on the conflict and falling in love, and it makes him a man that both sides want to use in different ways. The novel chronicles his desperate decisions in order to escape the dangerous situations he finds himself in and what happens in the aftermath of each choice. There is a lot of historical fact integrated into Sedgwick's novel, but there is also a lot of additional imagining woven into the tale. I found this story a bit dry in the telling, and it took a while before I ever started warming up to it (though that happened too little too late). Still, what I've always found interesting about novels from Sedgwick is that they are stories unlike any I've read before and different from his other work - and this one is no exception (especially with the random fairytale interspersed in the telling). If you're interested in learning a bit about Arthur Ransome (who I knew nothing about prior to reading this) or if the premise interests you, it would be worth checking out, albeit with the warning to expect bare storytelling. Oh man, you guys, oh man. Just thinking about And Every Morning the Way Home Gets Longer and Longer makes me emotional. This novella is only the second thing I've ever read from Backman, and it is stellar. 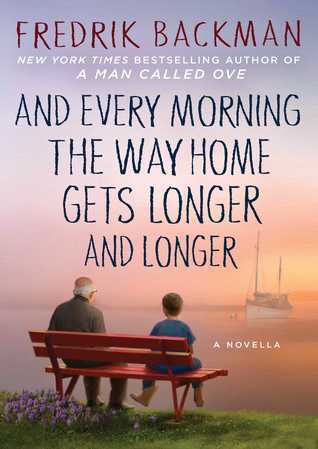 The entire thing centers around an elderly man struggling to hold onto his memories, and how this affects the family that cares deeply for him. Honestly, Backman is an incredibly talented writer. He has this way of combining imagination and emotion in just the right way to hit you in the feels. My heart was totally empathizing with Grandpa and his family, and I turned the last page of this novella with tears streaming down my face. Even in such a condensed format, Backman really manages to do something magical and moving. Though I rarely purchase novellas (unless it's related to a series I love), I would definitely spend money on this one. I highly recommend checking it out for a taste of Backman's writing! 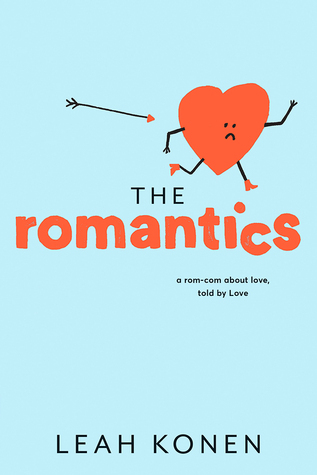 If you, like me, are a romantic comedy fan, then you'll likely enjoy The Romantics. Narrated by Love (who is pretty sassy and also very knowledgeable and determined to disabuse us of certain notions of love we may have), it begins with Gael Brennan getting his heartbroken... all because Love made one mistake. Love is determined to set things right, but when an unexpected girl and Love's own rules get in the way, will Gael ever find the happiness he is meant to have? Guys, it is such a cute little love story, and I was totally sporting a cheesy grin by the time I hit the end. Filled with fun characters, plenty of sass, and scenes right out of a movie, I had a lot of fun reading this one. I'd highly recommend reading it if you're in the mood for something light and fun to read! 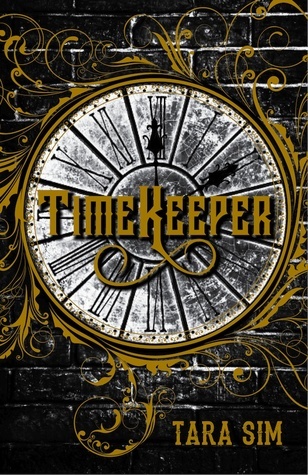 Timekeeper centers around Danny Hart, a clock mechanic who repairs and maintains the clock towers that are the central power in this Victorian era. After going through a traumatic accident, Danny is finally given a new assignment - Enfield, a town with a clock tower that is constantly having problems. It is there that Danny discovers the truth: clock spirits exist, and the boy he thought was his apprentice is the spirit of Enfield. Drawn together by loneliness, curiosity and desire, Danny can't seem to stop himself from falling for this boy even though its against the rules. When a series of clock tower bombings threaten more cities, Danny must piece things together to save the day and to prevent Enfield from being the next target. This synopsis really made the novel sound interesting, and I'm happy to say that it totally delivers. The steampunk elements, the fantastical touch and the characters were all aspects of the story that I was extremely happy with. It was easy enough to construct the world in my mind and populate it, but also complex enough to keep me wanting more with every reveal. I only really have two reservations: the beginning is a bit slow, and I couldn't connect to the characters on a personal level. But barring that, it was a very good read. I definitely feel like there's a lot more to come for Danny and company, and I look forward to finding out just what that something is. Highly recommend checking this one out! Lucy Hutton and Joshua Templeton are executive assistants to the co-CEOs of Bexley & Gamin, and they are also each other's nemesis. Constantly in competition to beat the other, the two of them are faced with the most important contest yet: a promotion to chief operating officer of the company. Even as the two of them continue to try to win the game, it is impossible to deny that Lucy is starting to see Josh in another light... an unexpectedly romantic one. 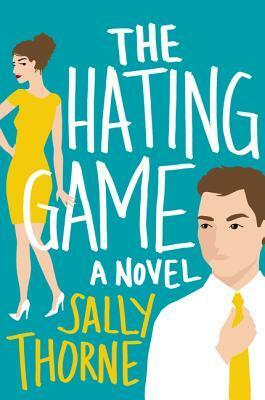 So, The Hating Game. If you know me, you'll know that this sounds like the story of my dreams, right? A hate-to-love romance in romantic comedy form is basically exactly what I love reading when I'm in the mood for it. And I did enjoy it! I thought it had a ton of really funny moments, and I adored the banter, and I enjoyed the romantic tension that sizzles between our two leads. But, sadly, I didn't end up loving it as much as nearly everyone else I know has. There are actually just two things that really bugged me: 1) the way I felt about both individual characters in the main couple (who both teetered between being a character I liked and one who drove me crazy) and 2) the descriptions of the size difference between them. It honestly made me disconnect from this story as I read it, which definitely was a shame considering that otherwise, I thought it was good. Overall, I'd still recommend giving this one a read if you're in the mood for something fun, funny and light! 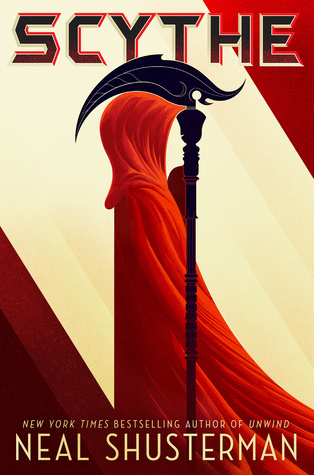 Set in a utopic world, in Scythe, the only way for anyone to die is to be randomly killed, gleaned as they prefer calling it, by professional reapers known as scythes. Citra and Rowan have been selected to be scythe's apprentices, and must train in the arts of killing with the scythe who chose them. But unexpected forces are at work in the Scythedom, and things are not as well-governed as they seem. As Rowan and Citra learn more about the world they are now a part of, they are forced to face some pretty horrible truths and to make some decisions that could potentially change it forever. Now, this premise is slightly modified from the one you can read on Goodreads, but I think it's a more accurate description of this story. I'll admit that this book starts out fairly typical of its genre when it comes to the characters and situations, though the existence of Scythedom and Scythes makes it feel a bit different. Even though the plot takes longer than I'd have liked it to to pick up, the story really does find its footing. 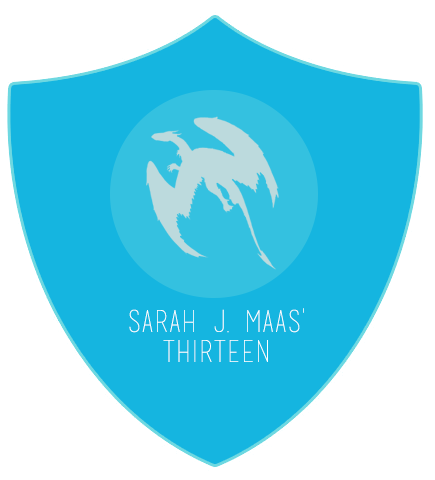 As the tale unfolds, and the more readers learn, it just becomes really fascinating - both in terms of plot progression and the thematic questions that arise. The book ends on a satisfying note, and could totally be read a standalone - but there is also room for another story. I definitely think that this was worth the read, so you should definitely check it out if you're interested.